From its humble beginnings 55 years ago, with 33 founding members, the Vernon Yacht Club’s membership has grown to over 400 members, with full moorage in the marina, and an active social scene. Having just completed a major expansion and upgrade, we have created new opportunities to join the club. • The sharing of boating experience and knowledge with other yacht club members. 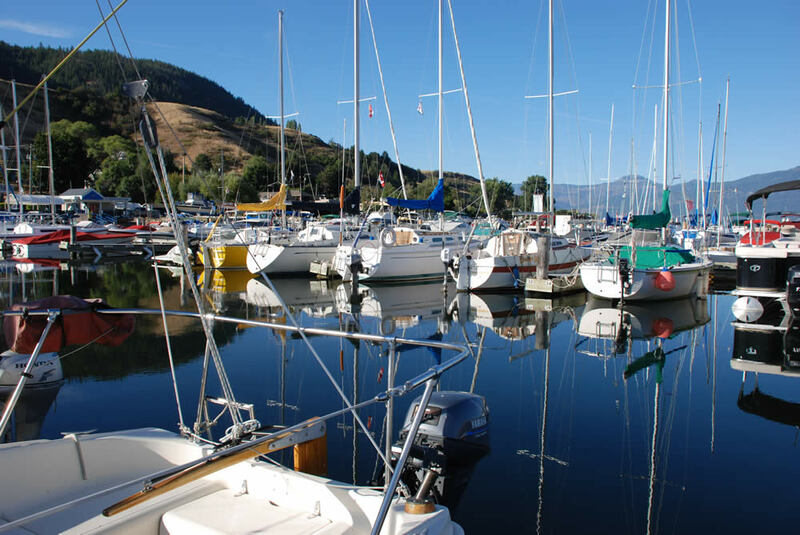 To join the Vernon Yacht Club there is one time initiation fee, annual dues, and moorage. Once you become a regular member, you enjoy all the clubhouse and marina privileges. There is also the opportunity to join the Vernon Yacht Club as a Social Member with certain limitations and restrictions. Persons interested in joining the Vernon Yacht Club are invited to speak with any Club member, Club staff, or just email our Membership Director. The Captains Care Club (“CCC”) is a club within a club, of which all members are a part. The main purpose of the CCC is to organize fundraising events such as the very popular Rib-Off, arranged by all volunteer efforts that range from the organizing, cooking, cleaning and providing or sourcing silent auction items by donation from our members. The funds raised from events such as these are deposited to a separate account within the Clubs account for purchase of items for the Clubhouse and grounds; purchases the Club may not have in the budget. Another popular event is the game of Wack-Duck, hosted simultaneous with the Pig Roast. A golf like game where a contestant purchases a rubber ducky for a minimal fee and a golf club is used to lobb the rubber ducky from the shore into a rubber dinghy set some distance into the basin. The skilled contestant earning a hole in one wins a prize! Should there be multiple hole-in-one scores the game progresses to a “duck-off”! Prizes are purchased by the CCC and proceeds raised go to the CCC account. The CCC committee headed by Ken Smith, presently consists of additional members Bob Montguire, Roger Price, Ciy Young and Ron Heuman. This committee receives and reviews all suggested expenditures and makes the final decision on what items to purchase. Though the Executive does not decide or determine what the funds are spent on, the decisions of the CCC Committee are presented to the Executive for approval. Since inception of the CCC, the group has purchased one of the four TV’s, all the patio tables and two racing marks for the sailors. Most recently, the CCC has purchased one of the two defibrillators. You may recall in the past, there was a similar club called the First Mates who purchased a pool table, shuffle board table, BBQ and built the BBQ Pit.